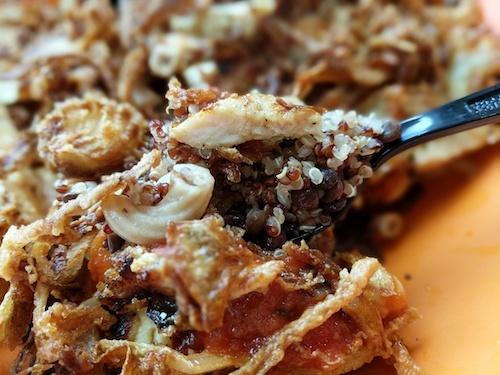 In Egypt, finding koshary is no problem in any setting. 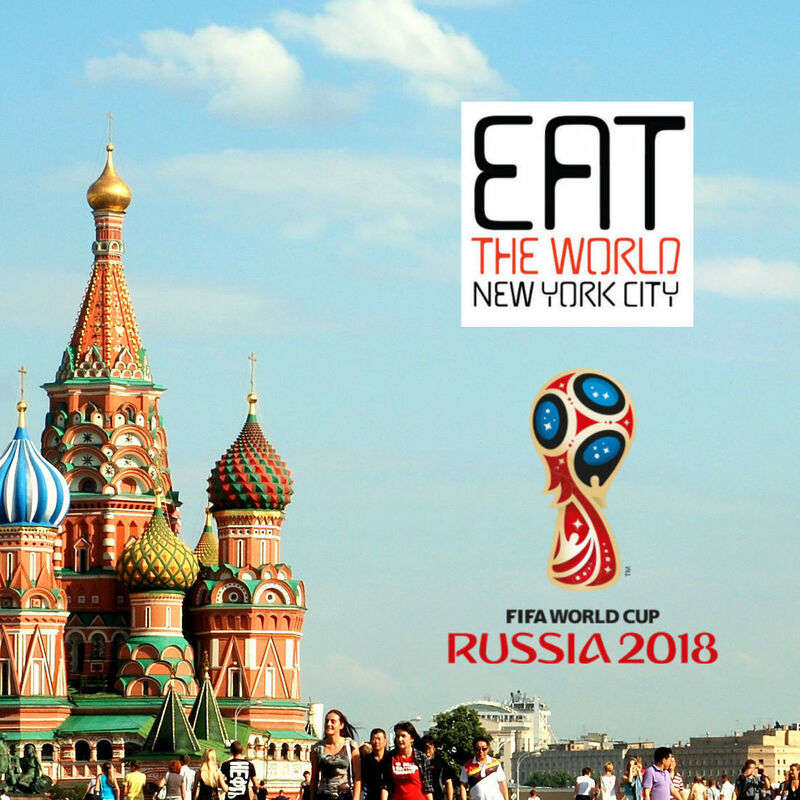 You might find it on restaurant menus, but there are also places that make the dish exclusively as well as myriad vendors on the streets mixing to order. 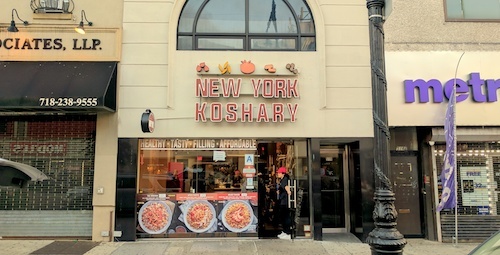 New York Koshary is the type of place that sells it exclusively, offering one traditional version and a few "worldly" options for different flavors. The setup is a bit like a Chipotle, in that the ingredients are laid out in front of customers and combined when ordered. Theoretically you can ask for more or less of certain items and get the ratio just right for your tastes with the build-your-own version. 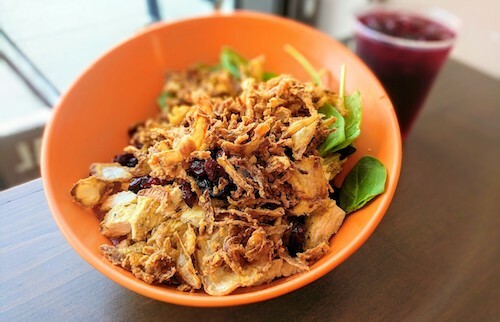 The most traditional style including meat is the Mediterranean Medley ($8.49, below), a combination of pasta, lentils, couscous, chickpeas, and grilled chicken that is topped a tomato sauce, cranberries, baby spinach, and fried onions. This style builds on the original koshary they offer for $6.49, a vegetarian version which is more like the versions found in Egypt. Koshary has been around since the 1800's, a time when Egypt was enjoying a good economy and people had a lot of food in their pantries. This was also nudged along by the multiculturalism in the country at the time, with ingredients from India and Italy being introduced. New York Koshary goes after a bit of multiculturalism themselves, offering Asian and Italian-inspired versions as well as the spicy fiesta koshary ($8.49, below) which was chosen to see what the spicy "Mexican" sauce would add. This version unfortunately lacks the cranberries and spinach which were tasty in the Mediterranean. Quinoa replaces couscous, and to be honest the spicy sauce is not spicy. As seen in the above two photos, the restaurant offers good drinks made of hibiscus and tamarind, $1.99 each. 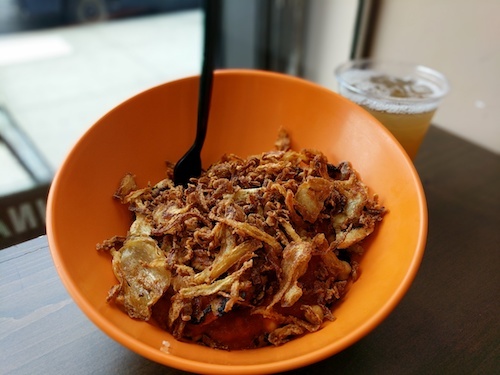 So New York City, meet koshary, the friend you never knew you wanted close.